If you enjoy the following article, you may also enjoy Stephanie Carroll’s Victorian, Gothic novel A White Room now on sale for $0.99 cents! Victorian mourning etiquette consisted of a large set of traditions and expectations that were considered an appropriate way to mourn a death; however, behind the outward expressions of mourning, there were anxieties and struggles going on in the deeper psychology of the Victorian society. 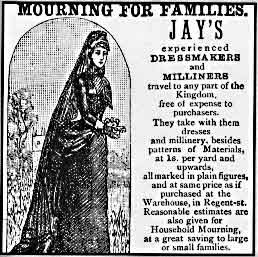 Victorian Mourning customs are all over the internet, but this article includes little known facts that have been bolded for your convenience. It’s important to keep in mind that the stages of mourning were different depending on the specific point in the century. 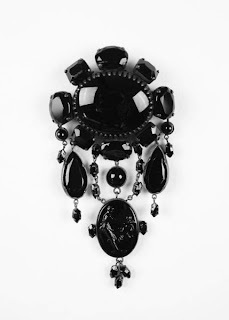 Further, Victorian mourning could vary quite a lot from Europe to America and even from one coast to the other. 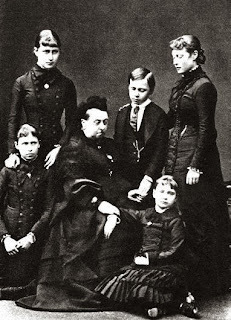 Mourning traditions grew popular out of the United Kingdom after Queen Victoria went into deep mourning when her beloved husband, Prince Albert, died in 1861 at the age of 42. Some customs were less strict or elaborate once they reached America. However, there were some overall traditions that remained relatively the same. Death was common during the Victorian Era. A large percentage of babies and children died as well as adults. It was a frightening thing as new discoveries about human death spurred more questions than answers. It wasn’t clear if death occurred due the heart stopping or the brain dying and why these things occurred at all. This uncertainty led to a fear that people could be buried or dissected alive. It also led to fears regarding what it meant about the soul if brain death was the ultimate cause of death. People believed the soul resided within the heart or chest cavity, so it made sense that the heart stopping signaled death as this would mean the release of the soul, but if it was the brain, then what did that mean about the soul? 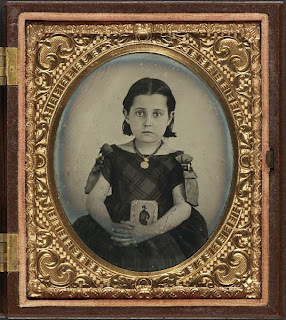 Various advancements in knowledge and technology ultimately created fears over the existence of the soul and life after death, which is why Victorians were also quite obsessed with ghosts, séances, and spiritualism. Unlike modern times, death most commonly occurred within the home in result of an illness. Lack of medicine and the use of family members to care for the ill meant that all the messy and difficult parts of an illness were witnessed by the direct relatives. Further, the byproducts of the human body ceasing to function were witnessed and cleaned by family members or by servants in an upper class home. Historians have interpreted the elaborate spectacles surrounding death as a way for people to deal with and overcome the most disturbing and traumatizing realities of death in Victorian society. The funerals and burials of the deceased were elaborate shows put on by a family even at their own financial detriment. People considered the bigger and better the funeral, the more the departed had been loved, so many would go above and beyond to prove their affections. The funeral could take place in the home or in a church. People might have a friend of the family sit with the dead for a time or have a waiting mortuary to delay the burial in case of a misdiagnosed death. In the home, there might be a viewing, but not usually in a church unless it was for a very prominent man who would attract more mourners than a house could accommodate. Sometimes people would send out an announcement that the funereal was private to deter a large attendance, but if someone did show up, no one would turn him or her away. A family might hire a normal horse-drawn hearse or one with a glass cover so people could see inside. Carriages and mourners would follow behind the hearse in a dramatic precession down public streets to the cemetery. The family might also hire carriages for some of the attendees, and some families even hired mourners or “mutes” to walk behind the hearse in the procession. Of course the more elaborate each step of the funeral and burial, the better, so families were encouraged to purchase the most expensive coffins, elaborate head stones, mausoleums, and family plots. Further, people would buy large amount of flowers, mourning wardrobes, memorabilia including post mortem photos, known as Memento Mori, and hair jewelry made with locks of hair from the deceased. The funeral business was a huge industry. Many historians believe the popularity of extravagance in funerals originated from the industry’s desire to make money off of the grieving. However, some historians argue that the crossover of extravagant mourning to other aspects of Victorian culture, such as literature, suggests it was much deeper than an economic and fashionable trend. 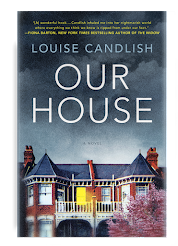 The home was prepared after a death to be a quiet, dark solitude of grief. Victorians would cover the mirrors with black sheaths because women were not supposed to partake in any kind of vanity during this time as they should look dreadful from weeping. Someone would drape a piece of black velvet over the portrait of the patriarch if he had passed. They also locked the piano because no one was to play any music, and there would be no dinner parties or festivities in the house for some time. 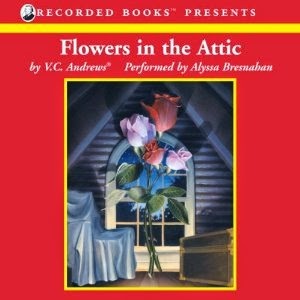 Sometimes other areas of the home were also draped or decorated with black fabric. They would drape the family carriage with black velvet too. There were a variety of traditions to signal outsiders that the house was in mourning. Some people hung black wreaths on the door, or the family covered the doorknobs in white crepe for a child’s death or black crepe for an adult’s death. Markers like these signaled to visitors that they should prepare to speak quietly and quickly so they do not overtax or burden the bereaved. The family might also muffle the doorbell to prevent any loud noises, which would startle the already anxious nerves of those inside. Oftentimes, people would not call upon a family in mourning unless they were close friends or relatives. Although it wasn’t unheard of to forgo mourning, most people abided by the customs as a sign of sorrow and respect for the dead, especially women and widows in particular. The expectations of mourning were less severe on men who needed to return to work and provide for the family. Women, on the other hand, were expected to isolate themselves for months or even years. It was not acceptable to make or receive calls, attend parties, dances, or any kind of joyous occasion unless it was musical or theatre related. If one attended, she was not to participate in the festivities. 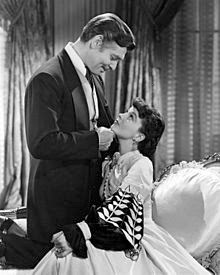 This is why Scarlett O’Hara’s dancing in Gone with the Wind was so scandalous. When women did venture out during their mourning, they were supposed to be properly adorned based on the closeness of the person who had died and on how long that person had since passed. A period of mourning was expected to last between six months to two years depending on the relationship to the deceased. It was always acceptable to mourn longer if the individual so desired. In the first stage of mourning, known as deep or full mourning, women were expected to wear all black or grey dress with heavy, dull fabrics such as wool or crepe. Their jewelry was usually made of jet, and they would wear long weeping veils that reached almost to the ground. During deep mourning, women would isolate themselves, abstain from joyous occasions, and were encouraged to be emotionally devastated. Etiquette manuals taught that women’s nerves would be so rattled that they might be startled by loud noises, burdened by visitation, and incapable of anything other than weeping. Although devastation was expected, it was not uncommon for men and women in mourning to get married or remarried. At this time, marriage was still an institution of survival, and a woman could not last long without a husband unless her family had the ability to care for her. People generally tried to wait to remarry until after the deep mourning phase ended; however, not all women could survive that long without financial support. Weddings with a bride or groom in mourning would be small and quiet, usually taking place in a family home and only with the closest of family and friends in attendance. The bride or groom in mourning would still wear black mourning garb to the ceremony. Announcements regarding the marriage might go out afterwards. After a period of time, usually a year, a woman could move into half mourning, which was when she could venture out into public more often and add certain colors to her wardrobe, including greys, mauves, and whites. Society expected the transition from mourning garb to cheery colors to be subtle, and many women would transition to a wardrobe of all white before returning to everyday colors. 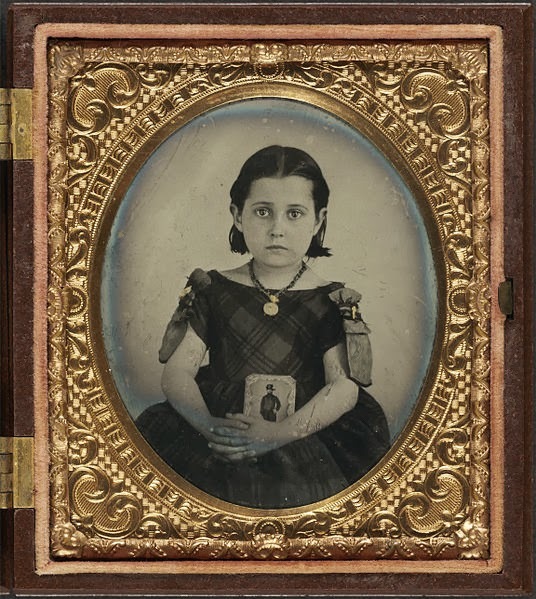 Children were less likely to be placed in mourning garb by adults although in some areas it was still practiced. Older girls would sometimes be clothed in all white for their mourning garb. A White Room on sale for $0.99 cents until Oct. 31! Stephanie Carroll is the author of Gothic, Victorian novel A White Room, on sale for $0.99 cents for a limited time! As a reporter and community editor, Stephanie Carroll earned first place awards from the National Newspaper Association and from the Nevada Press Association. She holds degrees in history and social science. Her Gothic and magical writing style is inspired by the classic authors Charlotte Perkins Gilman (The Yellow Wallpaper), Frances Hodgson Burnett (The Secret Garden), and Emily Bronte (Wuthering Heights). Enter the Halloween Giveaway: win one of two $25 Amazon gift cards or an autographed copy of A White Room. 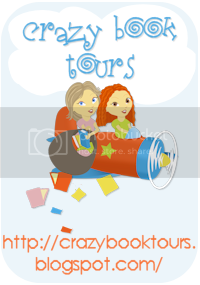 Learn Stephanie Carroll’s Insider Secrets on Authorship! Description: The Princess Diana Conspiracy presents extremely incriminating evidence that all democratic nations should embrace. Its proven that the paparazzi were kept away from court through “Political Intervention”; the decision to embalm Diana was taken at a “Diplomatic Level”; MI6 are proven to have perverted the course of justice and are forced into acknowledging they murder people; senior police officers compared their evidence to get their stories straight during the inquest and repeatedly sidestepped crucial questions-just some of the information disclosed. The authorities are examined both pre and post the Paris attack. Disturbing evidence is presented and questions are raised over Britain’s democracy where the people are supposed to be the law. If you share this books view that this heinous act was intolerable then consider; Diana’s murder needed the nod from someone in a position of considerable power or influence; so, who gave the order? Post attack, shamefaced authorities were coerced into cooperating with a subterfuge just because the people’s justice endangered one family and, of course, MI6; clearly an abuse of the people’s democracy. 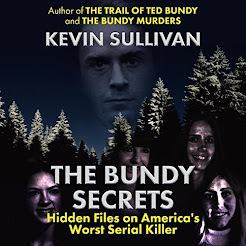 This book shows evidence of murder that any honest court would accept. Murderous monsters assassinated Diana to preserve the status quo; an act of which the Nazi SS or the old KGB would have been proud. But instead of burning books, these people now intimidate writers who seek justice and they are, in my view, guilty of treason. Please read and consider your verdict. From the year that Diana Spencer married Prince Charles, I became utterly and completely fascinated with her. That fascination continued until and past her death; like so many, I sat in front of the tv watching news reports about that horrific weekend in Paris and actually cried when watching her funeral, as if I had lost someone close to me. Even though it’s been many years since her death, there are still books about her being written and I will anxiously pick each up. The Princess Diana Conspiracy was no exception. 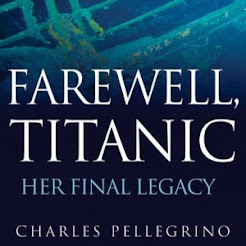 Author Alan Power wrote this book, convinced that Diana was murdered on orders from the Palace, and shares his theories and gives supporting evidence. He addresses the infamous white Fiat, driver Henri Paul, the “Tell Me Yes” ring and why he feels that Diana was a threat to the Royal Family. While I did find the book interesting and felt that Mr. Power very passionately defended his beliefs, I did struggle with portions of it. One of Mr. Power’s more fervent views is that Diana and Dodi were engaged at the time of the car accident, planning to marry in October and then living abroad in France. The author also states that Diana was planning some type of custody fight with Prince Charles, wanting full physical custody of William and Harry and the ability to take them to live abroad. I just could not take these theories seriously. Despite her friction with the Royal Family, Diana also had respect for them; she was raised as an upper class British girl who rubbed shoulders with the Royal Family. No matter how good relations may have been with Prince Charles, without a doubt she would have known that William and Harry could never live outside of England and she could never have sole custody of them. I also don’t believe that Dodi Fayed was anything more than a summer fling which would have flickered out by the month the author was claiming they were to be married. Diana’s friends and confidants all claimed that she was deeply in love with Dr. Hasnat Khan and Dodi was a rebound, a relationship born to make Dr. Khan jealous. And would she really have elected to marry a man she had spent only six or so weeks with? Diana was indeed impulsive; if there was talk of marriage, I simply don’t see her going through with it after the initial buzz (including that from the media) wore off. Harder to accept was the idea that the Palace was behind Diana’s death, with driver Henri Paul and Dodi being collateral damage (and bodyguard Trevor Rees Jones barely surviving). Would the Palace really consider Diana so much more dangerous because she was dating a Muslim? Wouldn’t she have been considered a lot more dangerous when she was giving the Panorama interview? Not only that but it’s been widely reported that the Queen is very close with Prince William. Would she, or the Duke of Edinburgh, endorse a plan to cause the worst pain a child can endure? On the plus side, Mr. Power does a very thorough and impressive job in questioning Henri Paul’s level of involvement, complete with a rundown of his finances and legitimate questioning of how certain levels of money came to be in his bank account. It is a good question and one that remains unanswered. The play-by-play of the actual accident is also methodically dissected with plenty of detail regarding timing and eyewitness accounts. The death of one key player in particular, ruled a suicide, is most definitely questionable. The weakest part of the book, in my opinion, is the oversaturation and repetitive nature of the contents. Reading the same information twice or even three times throughout the course of the book caused it to become tedious and even dull. Regardless, I found The Princess Diana Conspiracy to be a good addition to the titles on Princess Diana. Mr. Power made some good, solid points and whether you believe there was a conspiracy to assassinate the princess or merely an accident, the book will leave you with the sense of tragedy over the loss of an influential woman at too young an age. The Princess Diana Conspiracy by Alan Power is available for purchase now at major booksellers, including Amazon. I am an Amazon affiliate. If you make a purchase through my link, I will receive a small commission. 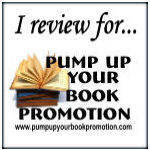 FTC Disclosure: This book was provided to me by the publisher and the lovely people at Pump Up Your Book in exchange for a fair and honest review. I was neither paid nor compensated. In no way did the provision of this book affect the outcome of my review. Description: Seven years ago, and seven miles below the surface of the Pacific Ocean, Dr. Jonas Taylor encountered something that changed the course of his life. Once a Navy deep-sea submersible pilot, now a marine paleontologist, Taylor is convinced that a remnant population of Carcharodon megalodon—prehistoric sharks growing up to 70 feet long, that subsisted on whales—lurks at the bottom of the Mariana Trench. 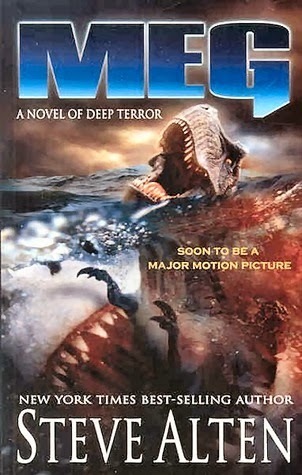 When offered the opportunity to return to those crushing depths in search of the Megs, Taylor leaps at the chance… but the quest for scientific knowledge (and personal vindication) becomes a desperate fight for survival, when the most vicious predator that the earth has ever known is freed to once-again hunt the surface. I have long had a fascination with sharks, likely starting with Jaws 2 (which I saw before the original Jaws) and this fascination is fed every summer with Shark Week. I am terrified of sharks to the point of not getting in the ocean, unless I’m in a boat, and being convinced that if I ever do put a toe into the actual ocean the shark dinner bell will be ringing. However, I have no problem watching movies and reading books that deal with other people being attacked by said shark(s). I know, don’t try to figure me out. Others have tried for years without success. Naturally, Steve Alten’s meganovel Meg: A Novel of Deep Terror is right up my alley. Imagine, if you will, that the prehistoric Megalodon, considered extinct for 100,000 years, managed to survive. And said Megalodon (“Meg”, hence the title of the book) found its way to more populated waters and decided not to limit itself to a diet of merely whales when tasty humans are around. That would be frightening enough but the Meg isn’t your ordinary man-eating shark. Oh no, this fish makes the original Great White from Jaws look like a babe in the woods. The Meg is some sixty to seventy feet in length with a mouth as large as a two car garage. Scared yet? Meg drew me in from the first page until the last. It’s intense, it’s heart-pounding and it can make you feel claustrophobic, even if you’re not. How to stop a massive fish whose only purpose is to kill? And how to survive against such a fish if you’re on its turf, many miles underwater? I’m no scientist or oceanographer but author Steve Alten does a bang up job in not only helping the reader to understand the submersibles’ missions but feel as if he or she is right there, alongside the characters. Did I mention claustrophobia? Again . . . be prepared. The most well fleshed out character is our hero, Jonas Taylor. 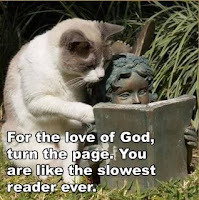 His weariness, frustration and fear will jump off the page at you. For as well defined as he is, the majority of the other characters are primarily supporting and you don’t get the same sense of each of them as you do Taylor. However, you do get a very good sense of the Meg who, rightfully, is a main character of this tale. Like Jaws, Meg makes for fantastic summer reading . . . but it can also be a gratifying read as the leaves are turning and the nights are getting chilly. I, for one, was grateful to be reading it in the safety of my landlocked home. It’s a relatively quick read and it’s as fast moving as a blitz attack by a Great White. It will certainly cause you to wonder if it’s possible the Meg still moves along the darkest corridors of the sea and think twice about what might be circling below you in the ocean. Pick up Meg and settle in for a less than quiet evening, complete with tension, fear and moments that will make you gasp out loud. Meg: A Novel of Deep Terror by Steve Alten is available for purchase now at major booksellers, including Amazon. I am an Amazon affiliate. I will receive a small commission if you make a purchase through my link. 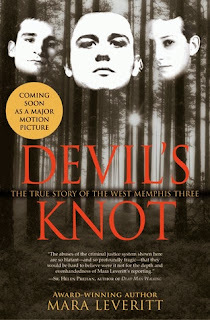 For more information on author Steve Alten, please visit his website. The gruesome murders of the beautiful and talented actress Sharon Tate, her unborn child and four others that same night at the hands of the notorious "Manson family" rocked the nation. As one of the most horrific crimes in modern history, these atrocities, the trial and the subsequent conviction of Charles Manson and his followers caused a media sensation, spawning movies, documentaries and bestselling books, including the classic Helter Skelter. A defining moment in an era otherwise associated with radical peace, love and understanding, this incident is one that still resonates with millions today. Yet while this crime left an indelible mark on society's consciousness, it was, first and foremost, a shattering personal tragedy for those closest to Sharon—the loving family left to cope with the emotional devastation of her loss. Now, after nearly forty years, their story is finally revealed. Compiled by close family friend Alisa Statman and Sharon's niece Brie Tate, Restless Souls draws on a wealth of material including interviews with the Tates, personal letters, tape recordings, home movies, public interviews, private journals, and official documents to provide a powerful, poignant, and affecting four-decade, three-generation memoir of crime and punishment, anguish and hope, rage and love, that is both a chronicle of death and a celebration of life. Extending beyond all previous accounts, Restless Souls is the most revealing, riveting, and emotionally raw account not just of these heinous murders, the hunt and capture of the killers and the behind-the-scenes drama of their trials, but of the torment victims families' endure for years in the wake of such senseless violence. Told from the Tate’s extraordinary perspective Restless Souls offers a rare glimpse at the post-trauma survival of a family and their journey to find justice and ultimately, peace—a glimpse that couldn't be more timely as Charles Manson comes up for parole again in 2012. 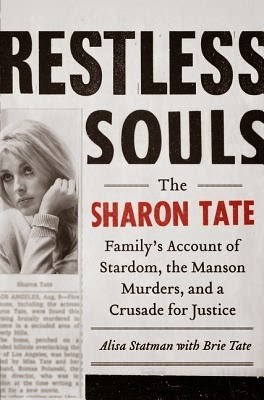 Restless Souls: The Sharon Tate Family’s Account of Stardom, the Manson Murders, and a Crusade for Justice is the latest entry into the substantial collection of books written about the Manson murders and at first glance, it may seem an unwanted and unneeded addition into an oversaturated, even weary, market. Don’t let the number of books preceding it affect your decision to pass this one by. It’s well worth your time and effort. This case has long been one that I have had a particular interest in. Helter Skelter, Vincent Bugliosi and Curt Gentry’s classic about the crimes, was the first book in the true crime genre that I read. Since then, I have reread it many times and the senseless horror never fails to create an uneasy pit in my stomach. Of all the Manson victims, Sharon Tate was the most pathetic and the most notorious; perhaps for this reason I felt a particular sadness over her death. Finding Restless Souls was hitting the literary lottery for me. After more than forty years, this was an account of how the Tate family dealt with the aftermath of the most well known murders of the 20th century and how the brutal killing of her daughter led Sharon’s mother Doris to forcefully advocate for victims’ families. A good quarter or so of the book deals with Sharon and the time before the murders. I appreciated reading about the true Sharon, as her family saw her and knew her. Authors Alisa Statman and Brie Tate (nee Ford, Sharon’s niece) pull no punches in using journals written by P.J. and Doris Tate, as well as Sharon’s sister Patti (and Brie’s late mother). They admit to Sharon’s drug usage, as well as usage by her former fiancé and fellow victim, Jay Sebring, and the debt he was in following the crimes. Reading Sebring’s despondency over Sharon’s pregnancy, still pining for her and hoping that she would return to him once her marriage ended, and knowing they would die together was particularly heartbreaking. Sharon is presented as particularly human, no saint but certainly not the questionable “live freaky, die freaky” character that’s been oft-repeated since her death. 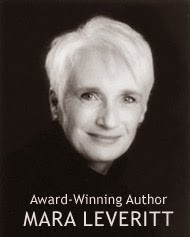 Rather, she is shown as a loving and devoted daughter and sister, a fierce animal lover, a woman who cried reading Tess of the D’Urbervilles and encouraged her husband that it would make a wonderful film (a film he made in 1979, dedicating it to her). For Sharon Tate fans who like her with only the gauzy light of reality on her, they may not be pleased; for those who want to know the real Sharon, good and bad, this is a slice of heaven. The bulk of Restless Souls deals with the after effects of murder on the living victims, not just the Tate family but the Parent family and various families that Doris Tate would go on to help. These were the difficult parts of the book to read. The raw anguish of the Tates’ suffering comes off every page, making it at times necessary to put the book down, even just for a moment. And a moment was about as long as I could stand to put it down, so anxious I was to continue on this uneasy journey with Sharon’s family. Doris Tate, despite her resistance to be categorized as such, was a true heroine - - a strong fighter who took the greatest tragedy of her life and dedicated herself to trying to prevent the same horror happening to others. PJ Tate, following the death of his daughter, took to the streets himself in search of his child’s killers and his investigation is included, to fascinating effect. Particularly interesting to me was Tate’s confrontation with killer Charles “Tex” Watson, an encounter that left the cold and heartless killer shaken. Patti Tate’s story, while less well known than her mother’s, is no less sad; only ten years old in 1969, she idolized her older sister and felt she never had the chance to give Sharon a proper goodbye and spent many years not acknowledging or speaking of her. The only weak part of Restless Souls, in this reader’s opinion, was the replay of the murders in which the thoughts and feelings of the victims are discussed. As this is pure conjecture taken from Patti’s unpublished memoir and written as fact, it’s a bit disconcerting. However, it’s a small flaw compared to the overall strength of the book, which includes showing not only Sharon but Jay Sebring, Abigail Folger and Woyteck Frykowski as actual people and not just victims. (There is no information on Steven Parent because the Tates and their friends did not know him). 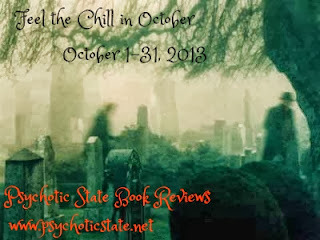 Restless Souls is a worthy companion to Helter Skelter, the latter discussing the crimes, detection of the killers and their trials, a memoir of pain and heartache as well as a nod to Doris, PJ and Patti Tate’s dedication and a reminder that Sharon Tate was more than a beautiful murder victim. I would not hesitate to highly recommend it. Restless Souls is available for purchase at major booksellers now, including Amazon. I am an Amazon affiliate. If you make a purchase through my link, I will receive a small commission. 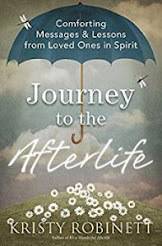 As an added bonus to the Kindle addition, exclusive home video from the Tate family, audio clips featuring Sharon herself as well as her mother's personal reflections after Sharon's death, and additional photos not included in any other edition of the book are included with the e-book.